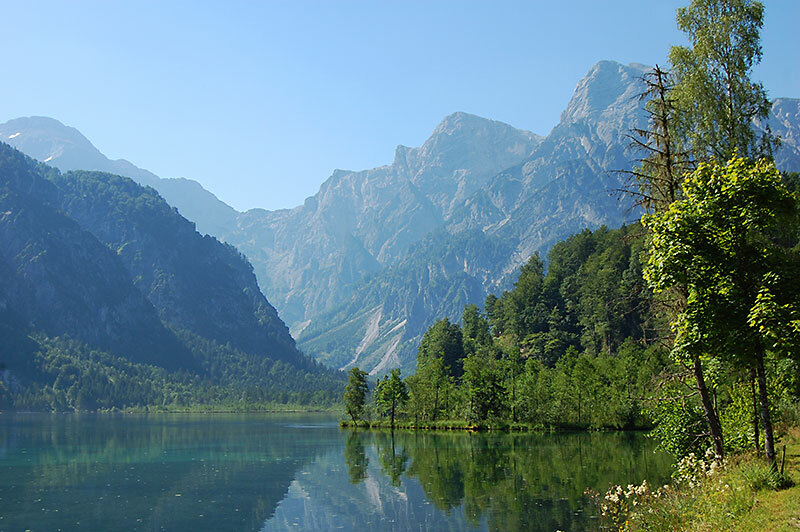 Austria is the perfect travel destination for those who want to spend a lot of time in nature. We’ve picked a few of our favourites to share with you. Austria has more than 50.000 kilometres of sign posted wander- and hiking trails. No matter if you are looking for a good workout or just want to wander at a leisurely pace to enjoy the scenery, the variety of trails is enormous. We’ve hiked to mountains peaks, wandered among vineyards and along the Danube. The different landscapes are as stunning as the vast choice routes available. 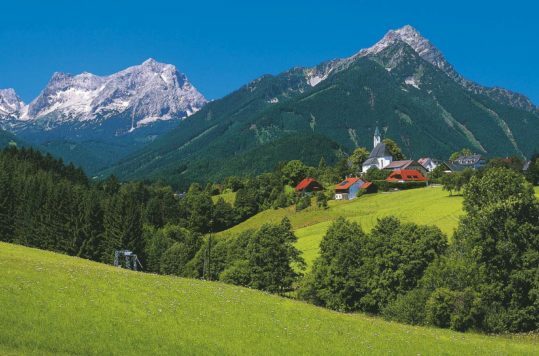 Five brilliant hiking destinations in Austria, does of course by no means do justice to the country. We could have picked hundreds of great hikes. Most hiking trails start in the valley. Nonetheless, I prefer to start above the treeline whenever possible, to get the most out of the view. Just outside Mauterndorf you can pick up the cable car and travel up to Grosseck at 1960 metres above sea level. This is a perfect start on this trip. There is still enough terrain and altitude left to get some exercise. The hike up to Speierck at 2411 metres and the round trip back to Grosseck, takes about 4 hours at a normal pace. The views over the Lungau region at the top are none less than fantastic. Read the entire story here! 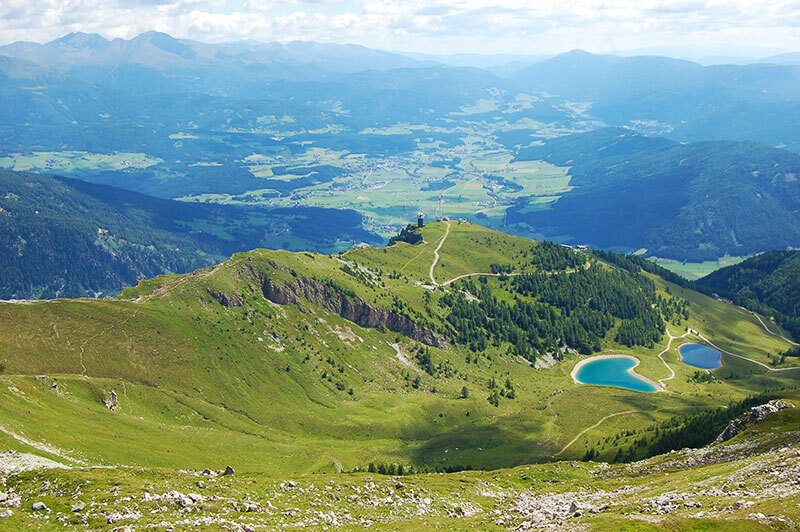 In Almtal you can choose either to walk around the beautiful Lake Almsee, or hike in the surrounding mountains. If on a hot mid-summer day, I would definitely choose the first option and save the mountains for a cooler autumn day. The lake mirroring the backdrop of greenery and the towering Alps could not be more picture perfect. 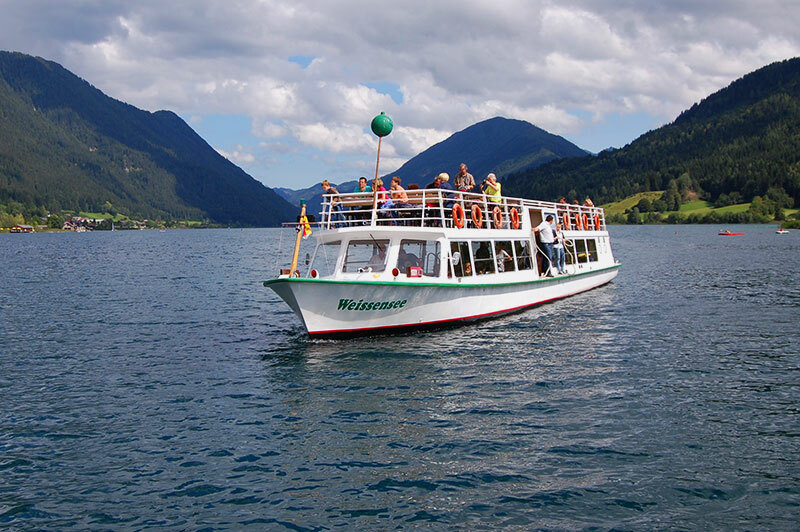 The Almsee is perfect for a day out with your family. Read the entire story here! This part of Lower Austria, just south of the Danube River gives you a special treat in the spring. 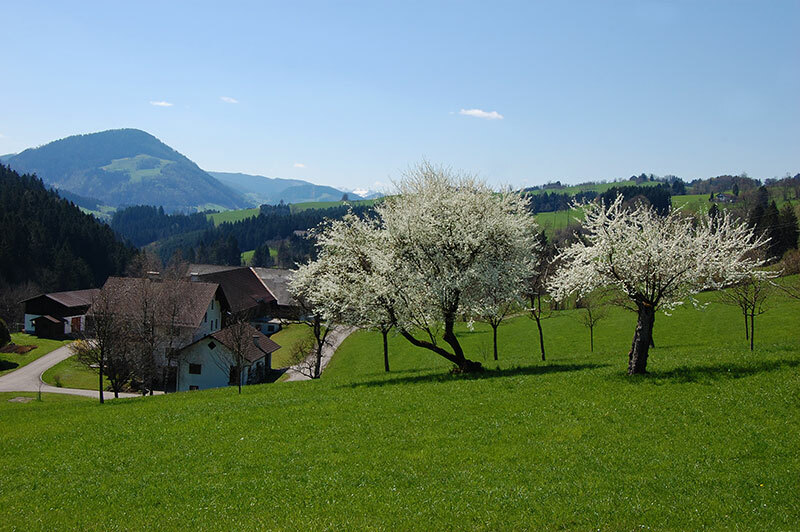 The Mostviertel region is known for the thousands of pear trees blossoming in the end of April. Hence, this colourful display by nature is a spectacular setting for hiking in the crisp spring air. The rolling hills of the Mostviertel between the Ybbstal and the Danube Valley offers numerous hiking routes for all levels of walkers. Read the entire story here! Since the fall of the Iron Curtain in the early 1990’s Slovenia and Austria have enjoy e close and fruitful relationship. As both countries are part of the EU and Schengen Agreement, tourists may cross the border without hassle. Thus, many cross border wandering routes have sprung up. 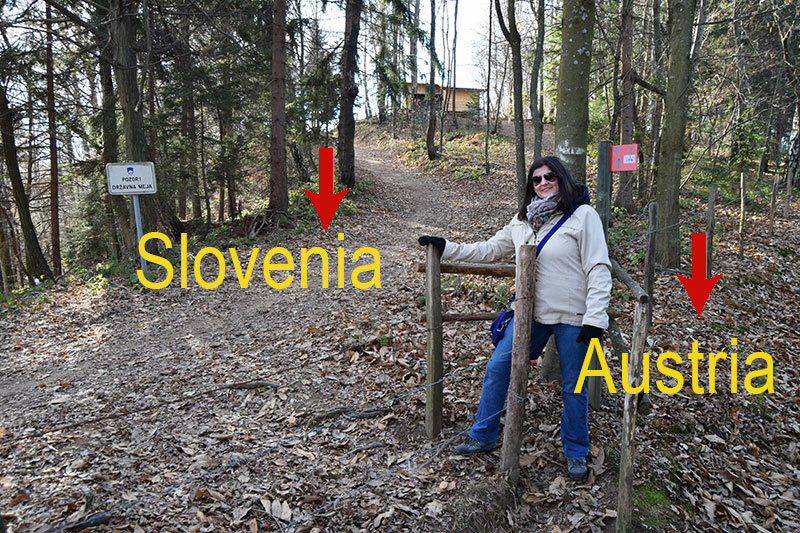 The «Internationaler Touristenweg» which takes you along the border gives you stunning views of both Austria and Slovenia. This hike is easy 1-2 hours hike and suits all kind of walkers. Find it on Google Maps. You wouldn’t think, that this is one of the cleanest and highest altitude swimming lakes in the Alps. Furthermore, the area around the lake is a real gem for hikers, as large parts of the lake are not accessible by other means than by foot or boat. Deep green mountains and a few small villages surround the almost 12 km long lake. Trails along the lake in combination with the small passenger ships criss-crossing the lake makes hiking a true delight. Check out the website from Weissensee Tourism for more info.